Shyamalan was born in a Hindu household in Puducherry, India. His father, Nelliyattu C. Shyamalan, is an Indian Malayali physician belonging to a famous "Thiyya" tharavad from Mahe, Kerala. His mother, Jayalakshmi, is a Tamil Indian and an obstetrician and gynecologist by profession. In the 1960s, after medical school (at the Jawaharlal Institute of Postgraduate Medical Education & Research in Puducherry) and the birth of their first child, Veena, his parents moved to the United States. His mother returned to India to spend the last five months of her pregnancy with him at her parents� home in Chennai (Madras). Shyamalan spent his first six weeks in Puducherry, and then was raised in Penn Valley, Pennsylvania, an affluent suburb of Philadelphia. He attended the private Roman Catholic grammar school Waldron Mercy Academy, though he was a Hindu (they chose it for disciplinary reasons), followed by the Episcopal Academy, a private Episcopal high school located at the time in Merion, Pennsylvania. Shyamalan earned the New York University Merit Scholarship in 1988. 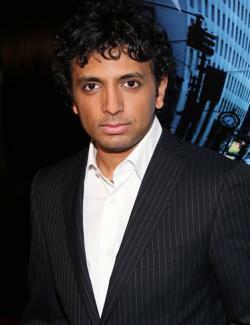 Shyamalan went on to New York University�s Tisch School of the Arts, in Manhattan, graduating in 1992. It was while studying there that he adopted Night as his second name. Shyamalan had an early desire to be a filmmaker when he was given a Super-8 camera at a young age. Though his father wanted him to follow in the family practice of medicine, his mother encouraged him to follow his passion. By the time he was 17 the Steven Spielberg fan had made 45 home movies. Beginning with The Sixth Sense, he has included a scene from one of these childhood films on each DVD release of his films, which he feels represents his first attempt at the same kind of film (with the exception of Lady in the Water). Shyamalan made his first film, the semi-autobiographical drama Praying with Anger, while still an NYU student, using money borrowed from family and friends. It was screened at the Toronto International Film Festival on September 12, 1992, and played commercially at one theater for one week in rural Woodstock, Illinois. When the film debuted at the Toronto Film Festival, Shyamalan was introduced by David Overbey who predicted that the world would see more of Shyamalan in the years to come. Praying with Anger has also been shown on Canadian television. Filmed in Chennai, it is his only film to be shot outside of Pennsylvania. Shyamalan wrote and directed his second movie, Wide Awake, in 1995, though it was not released until 1998. His parents were the film's associate producers. The drama dealt with a ten-year-old Catholic schoolboy (Joseph Cross) who, after the death of his grandfather (Robert Loggia), searches for God. The film's supporting cast included Dana Delany and Denis Leary as the boy's parents, as well as Julia Stiles, and Camryn Manheim. Wide Awake was filmed in a school Shyamalan attended as a child and earned 1999 Young Artist Award nominations for Best Drama, and, for Cross, Best Performance. Only in limited release, the film grossed $305,704 in theaters. That same year Shyamalan co-wrote the screenplay for Stuart Little with Greg Brooker. In 2010, he directed The Last Airbender, based on the Nickelodeon TV show Avatar: The Last Airbender. In 1993, Shyamalan married psychologist Bhavna Vaswani, a fellow student whom he met at NYU and with whom he has two daughters. The family resides on a sprawling estate in Willistown, Pennsylvania, near Shyamalan's usual shooting site of Philadelphia. His production company, Blinding Edge Pictures is located in Berwyn, PA.